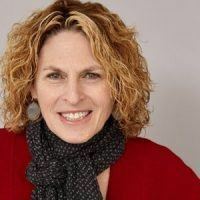 Sharon Rich runs the Los Angeles-based consulting firm, Think Business Growth, where she supports C-Suite leaders in creating a working business culture with the soul needed for sustainable success. As a professional speaker, Sharon reveals for business leaders the hidden games being played in their organizations without their knowledge — that can block their ability to achieve and sustain their objectives. In fact, Sharon wrote the book, Your Hidden Game, about ten invisible agreements that give leaders the tools to create high performing leadership teams that solve problems, drive growth and free up CEOS to focus on the bigger picture. As a result of Sharon’s work with them, her clients see measurable improvements in leadership, teamwork, execution and business results. On a personal note, Sharon loves a good game and is tough to beat at anything involving words. Connect with Sharon on LinkedIn and Twitter and follow Think Business Growth on Facebook.